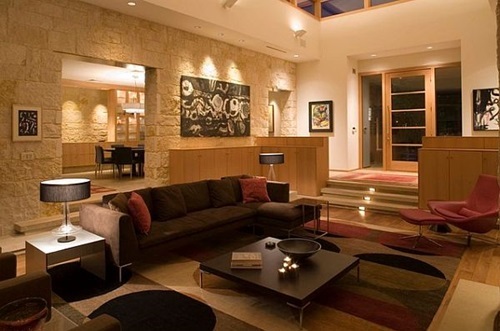 The layout of your living room changes according to the functions your living room should serve. 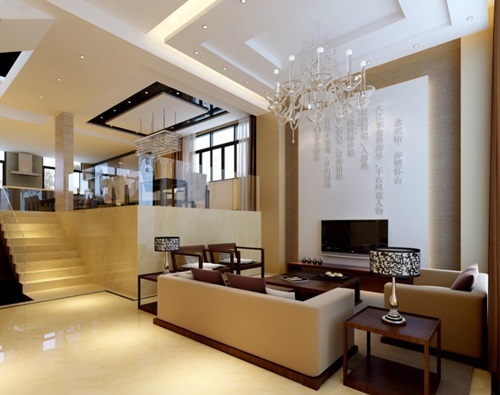 But the one thing you can be assured of is that, with its stylish sleek lines and smooth surfaces, contemporary style will virtually add unique spaciousness and sophistication to your living room. 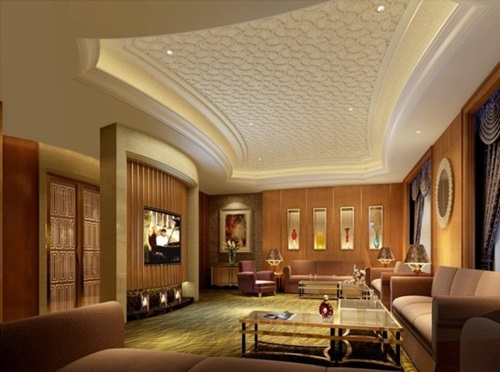 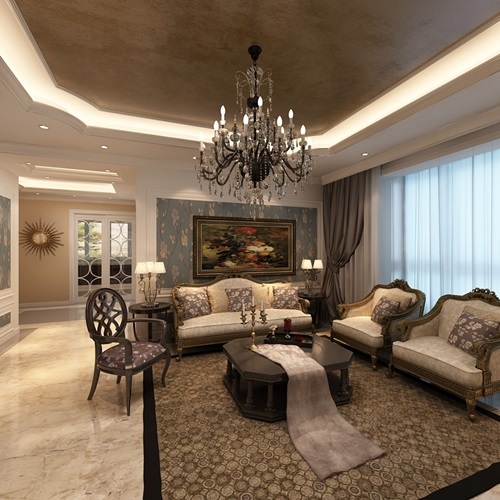 Following are 5 key decorative tips to enhance the look of your contemporary living room. 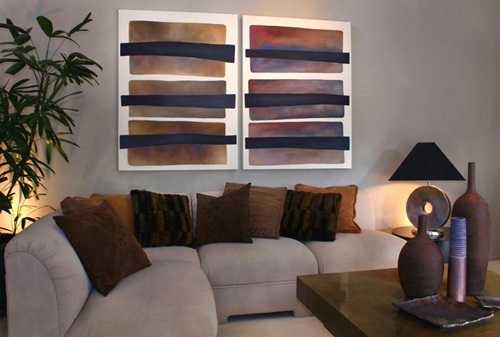 An interesting wall art can be the most attractive addition in your room and it can also serve as a focal point, especially if you don’t have a fireplace. 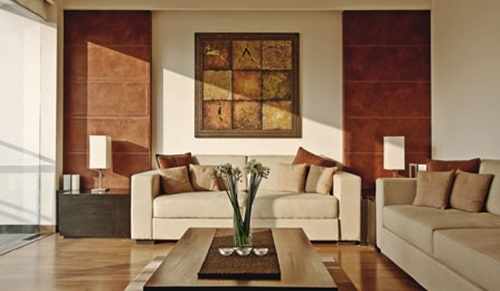 With a beautifully framed wall art canvas or a wall painting, you will create a high-end focal point. 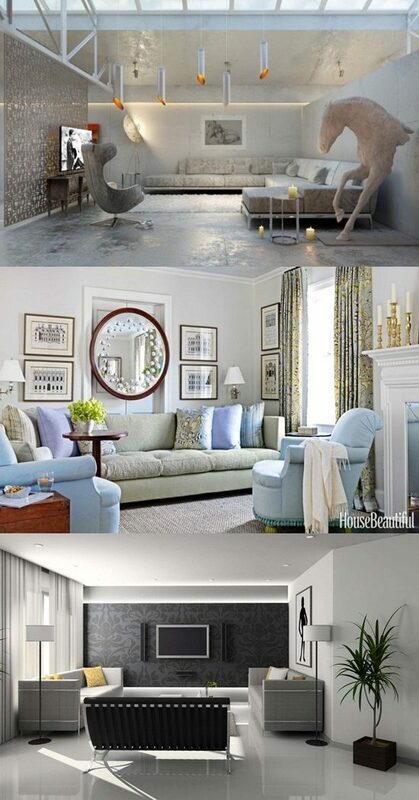 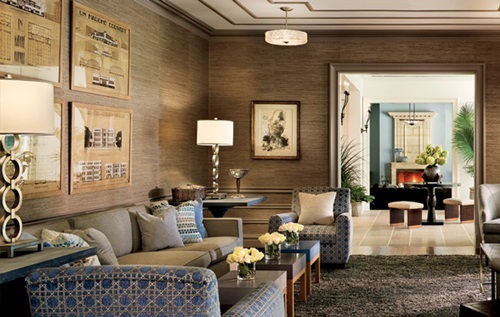 Implement a monochromatic color scheme by simply picking a color that will enhance the mood you desire. 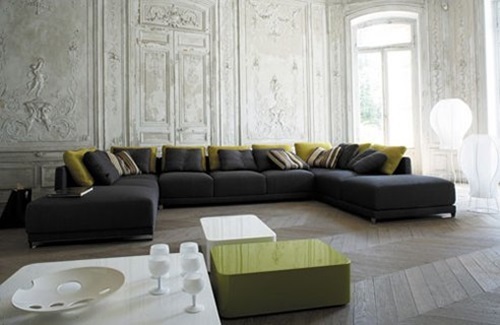 Then, add a different shade of that color to each part of your living room. 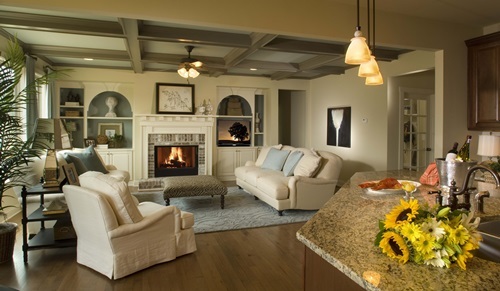 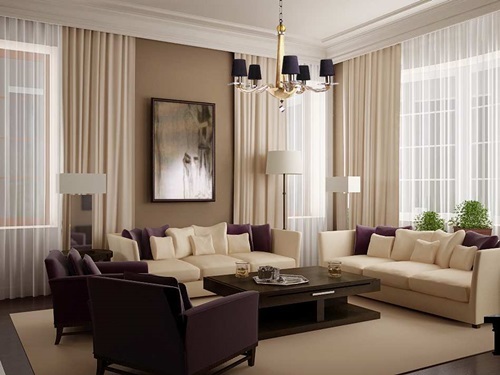 For instance, if you want to achieve a calming natural effect, opt for a brown monochromatic scheme; which would involve ecru, bisque, chocolate, and beige to be installed to walls, furnishings, window coverings, and flooring. 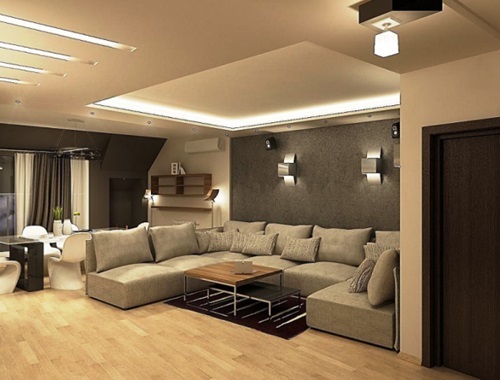 Built-ins are a great storage addition in your living room. 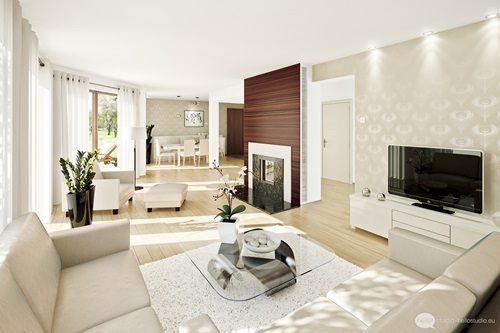 While adding shelves and cabinets will cost you a lot, a built-in entertainment center or a book case will be of a great help in storing all those little items that could clutter your room while adding a standout look. 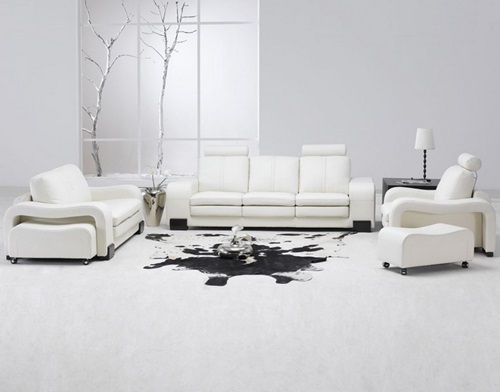 Since rugs could mismatch your contemporary style, consider a wall-to-wall carpet with a definite color and a complementing pattern. 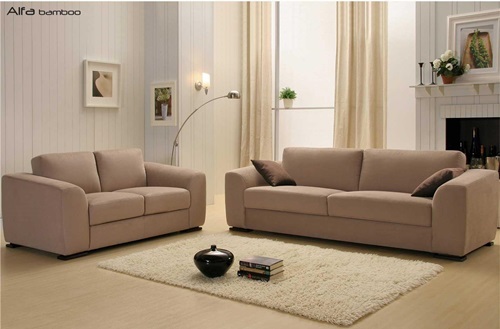 It will also make your living room look more wide and spacious. 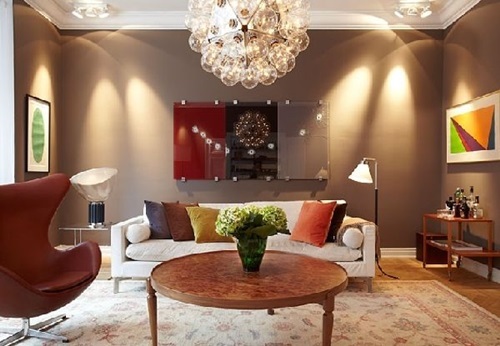 Stick with a neutral color palette for sofas, seats, and ottomans and add a bold splash of color with accessories to lend your room a vibrant energy. 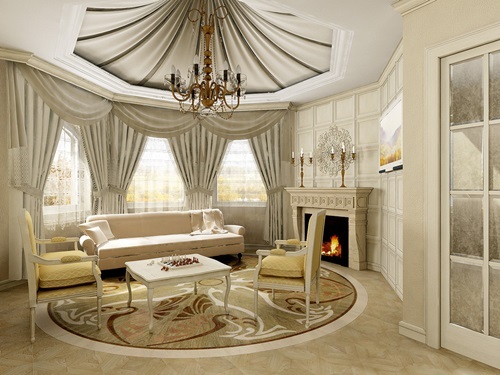 Throw pillows, curtains, wall arts, and picture frames are all wonderful opportunities to add your personalized touch. 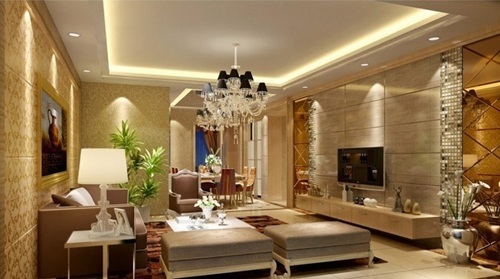 Also colorful lampshades and vases will add splendor to the whole modern sleek look.